In my previous post, I wrote nasty things about Irish bread. As a result, I had a fascinating Facebook conversation with Karina from Green Earth Organics that inspired me to dig deeper into the topic. First, I learnt that sourdough was never brought from Europe to Ireland simply because wheat wasn’t cultivated here till relatively recent times. The traditional grain to bake bread were oats that are not a good product for sourdough. When wheat eventually made its way here, the Irish climate turned out not to be suitable for the plant. 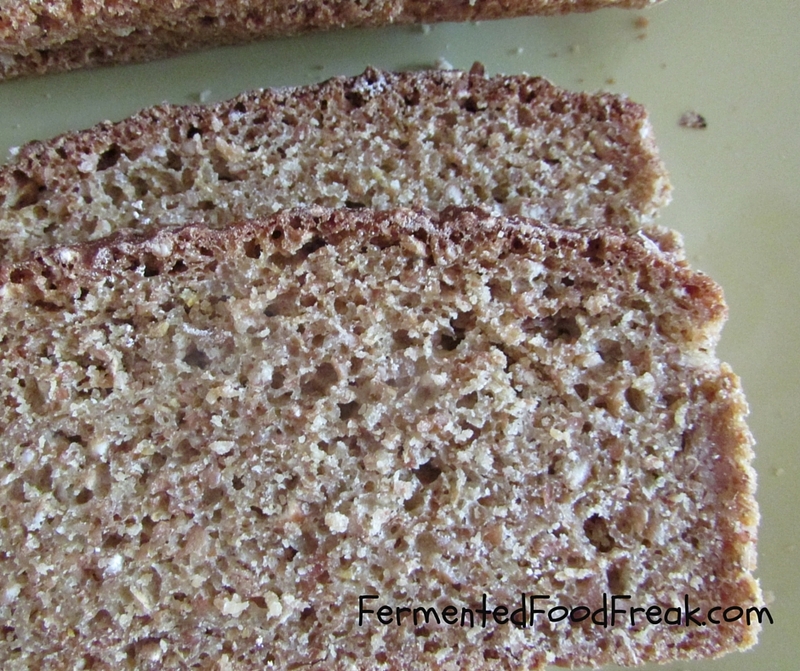 As a result, Irish wheat flour is low in protein and ‘soft’ in texture. This kind of flour simply doesn’t work with wild yeast. Initially, to make the flour rise, people soaked it in buttermilk overnight. And this is amazing to me because it shows that no matter what, you will always end up using fermentation in one form or another. I wonder what made people use buttermilk for baking? Did they understand the nature of fermentation or just experimented and noticed that buttermilk makes the flour rise? Or they saw bubbles and understood that buttermilk contains gases that can be useful for that matter? This kind of bread never became the staple food in Ireland because people started to rely on potatoes to survive, for economic and political reasons. It was much cheaper to feed a family on potatoes with milk than on half-risen wheat bread, especially as English landlords didn’t leave much of the land for Irish folks to grow their own crops. But, as we all know, in 1850 a blight hit potato crops and The Great Famine began. So, people had to look for some alternative food. At this time, sodium bicarbonate was already used in England as a yeast substitute. So, it started to be imported to Ireland and people used it to make bread, i.e. the lucky ones who owned some wheat flour. The demand for soda for bread making purposes was so big that, according to historical sources, the substance was the object of dealership and abuse and many people died from substitute chemicals. Anyway, from these days, Irish people associate soda bread with survival and have a strong emotional connection to it. I totally understand and respect this and take back everything I wrote about soda bread previously! However, to me, as an author of a blog about fermentation, the Real Irish Bread is the one made of flour soaked in buttermilk. Just stumbled upon this post. I wonder if they ever tried mixing the buttermilk soaked dough with the soda. I’ve tried adapting soda bread to use sourdough starter somewhat along the lines of sourdough pancake batter turned into bread so this post got me thinking. Rather than just mixing the buttermilk into the dough they could use the fermented dough as the base. I imagine it would be pretty tasty. Previous Previous post: What is Real Bread?